This is a guest blog by Neil Faulkner, director of 4th Way, a comparison site focused on the p2p industry, on the lending patterns of rebuildingsociety lenders in recent auctions. It’s an impartial view of activity on the platform and Neil’s lending recommendations are his alone, not endorsed or recommended by rebuildingsociety. 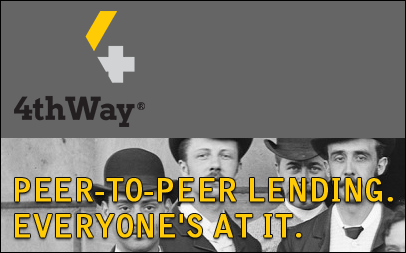 Here at 4thWay.co.uk, the P2P lending comparison site run and governed by individual lenders like you, we collect and gawp at lending data rather like three-year-old’s hoarding little stones. And so rebuildingsociety’s Nick Moules asked me to write about 4thWay’s research into recent lending patterns on rebuildingsociety. The overall news is really good. It’s clear that the vast majority – about 85% to 90% – of successful bidders are within around half a percentage point of the average rate. In addition, the average rate is typically very close to the top bid, being within approximately 0.5 or 0.75 percentage points. 1) Most people successfully lending their money are not profiting too much at other lenders’ expense. 2) Lenders on rebuildingsociety are taking responsibility for their money and decisions. In some other P2P marketplaces, a large number of lenders hand over their money to an automated computer, and they are punished for it by lenders who set their own rates themselves, beating the computer. 3) This big cluster of bids also shows that the market is being effective for borrowers and lenders, because high bidders are being outbid and a fair price is being found. There’s just one thing to beware of with this clustering: if you get used to following the herd, you can also follow them too far down. You have to think independently and set sensible minimum interest rates that you will never go beyond, regardless of how jubilant and care-free other lenders – and the press and even experts – become. It’s great to see those results. Unfortunately, there is a minority of rebuildingsociety lenders who bid considerably lower than the rest. 10% of bidders are bidding at least one percentage point or more under the average successful bid. Over half that number are getting 10% or more under the average. Shockingly, in a typical auction, the lowest bid can be just one-quarter or one-third of the average bid. Even worse, perhaps half the low rebuildingsociety bidders don’t just bid low once and then learn their lesson. They go and do it again. That’s going to hurt you in the pocket. If you lend around £5,000 and bid 1.5 percentage points below the average rate, you can expect to be £1,500 worse off after ten years. And if you bid just one-third of the average interest rate, you should probably prepare to make a loss after bad debts! A lot of the low bids are early bids. So it looks like the low bidders don’t want the fuss of bidding more than once and they want to be sure of getting their money lent out. But, If you just want to bid once, my tip is to do so towards the end of the auction, not the beginning. Look where most of the bids are in the “Loan Offers” tab. They will be hovering one percentage point apart, e.g. 13% and 14% in one auction, 15% and 16% in another. Because bidding on rebuildingsociety is in whole percentage points. If you bid at the lower of the two rates, you have a good chance of taking part in the loan auction. Plus, you will then be, on average, around half a percentage point away from the average interest rate, which is very good for a lender with little time. Whatever you do, don’t bid low any more. By bidding low, you’re taking greater risks. Given the tough choice: sit it out and wait, rather than rush to get your money earning interest.